For decades, the films of Anand Patwardhan have explored the numerous issues that exist at the heart of Indian society. This fiercely independent documentarian has examined religious violence, masculinity, oppression and the nuclear threat with his wide-ranging and illuminating films, and he has often come into conflict with the country's government as a result. His most recent film is Jai Bhim Comrade, a documentary that Patwardhan worked on for 14 years, having been inspired to pick up his camera following the massacre of 10 Dalit protestors and the related suicide of his friend, the poet and singer Vilas Ghogre, in 1997. This engrossing film explores the complexities of India's caste system and the discrimination of the Dalit community (described as "untouchables") with extraordinary perception and compassion. 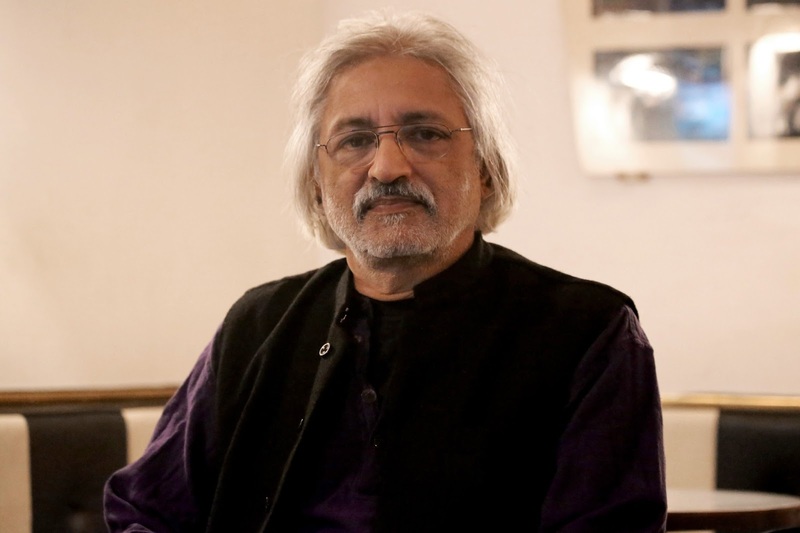 Having discovered Anand Patwardhan's remarkable body of work during the BFI's recent retrospective, I was delighted to have the opportunity to interview him when he attended the Human Rights Watch Film Festival in London. You started working on Jai Bhim Comrade after the suicide of Vilas Ghogre. Had you been considering a film on the subject of caste discrimination before that happened, or was Ghogre's death the catalyst that started it for you? In many of my previous films there is mention of the caste system, so I was aware of the oppression of the Dalit community, and you can seen that in some of my earlier works, but I didn't know it in depth or very closely until I started making this film. It was Vilas's suicide that forced me to take a much closer look. Were you at all prepared for that kind of commitment? No, that surprised me. Basically, I got into the story because of Vilas's death and started following a number of strands. The main strand I was following was the court cases of the policemen who had fired on the people, and these were interminable. Finally there was some closure in 2009 when a police officer got sentenced to life imprisonment, so I thought that would be the end of the film, and that was already 12 years. But I continued for another two years because he never went to jail and I was waiting for something else to happen, and then the young group that I started filming, Kabir Kala Manch, they had been forced underground by the police and branded as Maoists. That was so dangerous I decided I had to stop making the film and start showing it. I guess it's the kind of situation where you could carry on filming forever because the story never ends. Yes, the story continues so you have to arbitrarily decide, "This is where we end." Do you edit the footage as you shoot it and construct the film as it happens? Yes, because neither this or most of my films have been pre-researched. It's not that I decide to make a film, I just fall into it, and once I get into making a film I want to learn more and more about what the issues are. So I film a lot, following my instincts, and then I watch it because it's all on video and you can see it right away. I watch it repeatedly. That's how I boil it down to the parts that seem important, and it's through that process that I start to find the structure of the film. So making these films is a means of educating yourself about the issues too. I'm definitely educating myself. For instance, even though I admired Dr Ambedkar I hadn't read his works. I had read a little bit, but not much. It's only afterwards that I learned how great his scholarship was and his writing was. As you explore these subjects, do you find that your own ideas and preconceptions are challenged by what you discover? Absolutely. On this film, as the film goes along you see the betrayals by the Dalit leadership, you see the left movement falling on its face, how they understood caste and how they reacted to it. All of these things were hard for me to digest, but I had to digest it in order to understand what happened. I was taken aback by how open the discrimination is against the Dalit community. There's a scene where you speak to more upper-class Indians and they talk about how bad the Dalits smell, and how they pollute any environment they're in. You do see that in the film but normally people are much cleverer and they wouldn't say it. They would feel, they would think it, or they would say it in different ways. For instance, the person who thinks that the problem doesn't exist anymore is much more typical than the reaction of people saying they are dirty. The more typical reaction is to be in denial and to pretend that the caste system doesn't exist anymore. One of the most important aspects of the movie is the music. It seems that music and poetry are the key ways for people of this community to express ideas and messages. Songs, poetry and literature are all important to the people of the Dalit community. They have gone through different phases, and at one stage they mainly wrote autobiographies of who they were, what happened to them, the discrimination they faced through life. Then they moved onto other types of writing, but music is good for the people who don't write because they can sing. You mentioned that the caste system has been referenced in your other films. How do you feel it has impacted upon those stories? For instance, I made a film called In the Name of God, which was about the demolition of the Babri Mosque and was basically about the Hindu-Muslim conflict, but even there I kept asking people what their caste was. I saw and I wanted people to understand that people of lower caste didn't have a stake in the rise of fundamentalism. They said, "We're not even allowed in the temple, so why should we fight for it?" There is also a rational tradition in the community that I could see in those days – I'm talking about 1990, so many years before this film – and in Bombay, Our City I spoke to Dalit people living in the slums. In many ways, all of my films are like one big film, it's just that they are made at different periods in history and are pointing at different issues or looking through different prisms. The idea is that the Dalit movement is one of the strongest secular forces in our country because it is a force that will not ally with fundamentalists, it will not be anti other minorities, it is not part of their history or thinking, but what you see in Jai Bhim Comrade is an opportunistic sell-out by the leadership. In Jai Bhim Comrade that is a major theme because you see what has been done to the Muslims, you see references to the 92-93 riots, and the Shiv Sena-BJP, which is anti-Dalit, is also anti-Muslim. So that is another running theme in the film, the fight for secular values. When you make these films about the problems facing Indian society, you are making films about problems that are deeply embedded in the culture. For instance, you're talking about a caste system that goes back for thousands of years. In that light, how optimistic are you about the possibility of positive change? I think change is happening even as we critique it and point out the horrors. Change is happening, there's no denying that. Even the atrocities against the Dalits can be attributed to the fact that they are more powerful than they were and they are speaking out, and so the upper castes are reacting to that. Another film of yours that I found to be very powerful is War and Peace, and again it's a film about a problem that doesn't seem to be going away. In fact, ten years after you made it, the issue of nuclear arms is even more prevalent. I keep saying that I wish my films would get outdated! [laughs] It would mean that we had progressed. But yes, the films do stay relevant – 10, 20 or 30 years later – they are still talking about things as if they are happening right now. One of the most striking scenes in War and Peace is when you visit Pakistan, and the people you meet are so welcoming and they invite you to eat with them. It reinforces the point that while there may be tensions between India and Pakistan, it has nothing to do with the people. It has nothing to do with the people. The people on both sides have been kept apart and there is so much curiosity. You can see it even when there are cricket matches between India and Pakistan, test matches, and sometimes they are allowed to visit to watch the match, except of course that there are no now test matches in Pakistan because of the situation there. But you will often see Pakistanis cheering for India if they are playing somebody else. They feel a kind of affinity with each other. Ordinary people do, yes. But wherever there is an attempt to make peace there are some elements who want to upset that, so they will do a terror attack on either side of the border to make sure that peace process is derailed. You have been making films for over 30 years now. 40 years, sorry. In that time, how has the process changed for you? Have you found it easier to make and distribute your films, or do you still face the same obstacles? Some things have changed for me personally in the sense that I used to have a harder time fighting the censor board. This last film got through the censor board without any cuts. I mean, none of the films got cut eventually, because I fought it out in court and things like that, but on this one they didn't even ask for a cut. That is partly because we have already won so many cases against the government and it's partly because the Dalit voice is too big to deny. How can they say no to this voice? Are there other Indian filmmakers of a younger generation who are similarly driven by their social conscience and are following the path you have set? It's not the path I have set but I think because India is a country beset with so many issues, injustices and inequalities, there is ripe ground for anyone who wants to make films that are not escapist. In fiction and documentaries there are people who are addressing issues. Not everyone wants to get into confrontation mode with the state, but there are plenty of good films being made. Your own style and pacing is very distinctive. Are you entirely self-taught? I am entirely self-taught but I think the reason that they are distinctive today is just because they are so traditional. [laughs] Everybody is busy trying to break the form and be artistic. If you go to film festivals you will see this emphasis. In my view, everybody is trying to show how clever they are rather than actually following their instincts in terms of how the story should be told and understood. There is so much experimentation with form, I think the content suffers. One thing I noticed in your films is the way you frequently let the camera settle on a person's face for a few moments after they have finished speaking. It's a simple method but those few moments often speak volumes. Yeah, because the problem in my films is that there is very little breathing space. I have shot such a lot of material and I want to say so many things. After you've seen something very important and dramatic you need to move on to another thing and you can become distracted. Those moments when people are silent give me a bit of breathing space and seeing the expression on their faces tells you something about what they are thinking, or it gives you time to think. Finally, have you made any plans for your next film yet? Is there another subject you want to explore, or are you simply staying with this picture for a while yet? I'm still working with this film. I spent 14 years making it and I will spend at least a couple of years showing it. I have spent one year doing that and I will spend at least one more before I think about my next film. I read a quote from you where you said "As a non-serious person, I would like to have made more playful films." After spending 14 years on one film, perhaps now is the time. [laughs] I don't remember the actual quote, but I think it was that I'm a non-serious person forced by circumstance to do serious cinema. I would like my films to be happier than they are, and I do try even in these films to have light moments. With humour you can cut through many defences.